The public-private partnership between Hemisfair Park Area Redevelopment Corporation (HPARC) and local developer Zachary Hospitality was approved today by the San Antonio City Council. Zachry’s proposal was chosen through a rigorous public selection process that began in March 2015. The proposed development presents HPARC’s guiding principles to ensure the creation of a vibrant urban design, respect for history, and environmental sustainability. Zachry’s goals for the development is to partner with HPARC and the community to create a space that shows the vibrant culture San Antonio possesses and motivate the community to visit downtown. The partnership offers approximately $200 million in private investment and about one million square feet of mixed-use development neighboring the civic park, the second park phase at Hemisfair. The mixed-use development will offer 385 multi-family housing, 50,000 to 70,000 square feet of ground retail space to include restaurants and shops, and more than 110,000 square feet of Class A office space. In addition, 600 underground parking spaces will be created along with a 200-room hotel that will include a restaurant, bar, spa, pool and gym. Space for the development is assigned to specific parcels separate from parkland and green space in the area, since conserving nature is a priority. “Expanding green space in the park while adding in new residences, shops and offices will transform the district into a vibrant urban neighborhood once more,” said District 1 City Councilman Roberto Treviño. 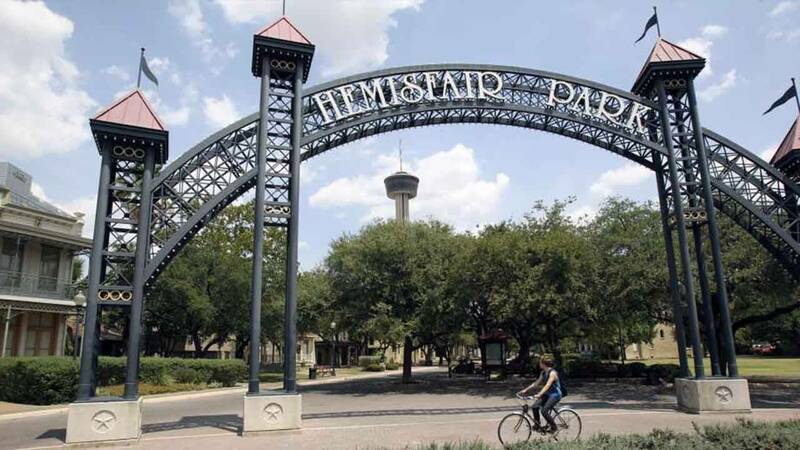 The agreement approved represents an important step forward in bringing the vision of transforming the Hemisfair area into vibrant parks district. “We embrace the opportunity to join HPARC and the City in delivering this transformative development aimed at celebrating the authentic ‘heart’ of San Antonio – a true revival of San Antonio’s urban core. We are honored to have the confidence of our hometown community,” said David Zachry, CEO of Zachry Corporation.